A word from one of theatre’s dinosaurs being dragged into the 21st century! And so I am, apparently, in Lyn Gardner’s opinion. She was reporting on our recent event Dear White Central, which addressed issues of diversity and equality at the school. I am pleased and proud that such a discussion was taking place at Central. Lyn wasn’t present at the meeting – her comments can only be based upon selective reporting back. The element that concerns me deeply is the marginalisation of creative arts in the state school system and the effect this is having on not just BAME pupils, but also white, working-class youths, especially male. We have literally thousands of applicants for our acting courses – for perhaps a total of 45 places. We audition everybody, and inevitably those coming from more privileged backgrounds and exposure to specialist drama teaching have an advantage. 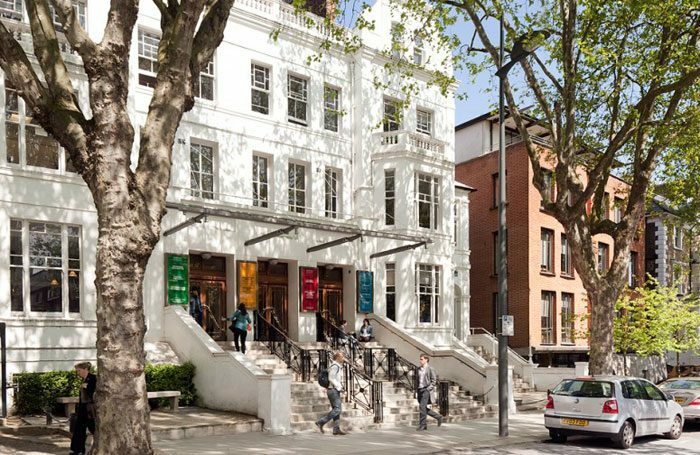 Our first challenge is to do all we can to encourage applications from disadvantaged communities, and then to try and spot those with real potential even if they are less well prepared for the very daunting exercise of audition and/or interview in such a setting as this very specialised drama school. To do this is indeed a challenge, and I did say that there would be an element of risk – but one well worth taking. This has been inflamed to suggest that diversity may compromise standards. Not at all. I was pressed on establishing quotas. I prefer targets. There is strong feeling among some of our BAME students that they would not wish to have attained a place at Central simply to make up a quota. But I absolutely accept that along with the whole of the conservatoire sector we have to find ways of improving the ratio of applications. The fight to establish STEAM rather than STEM to enable creative arts subjects to be embraced within EBacc will go on; but the government shows little sign of giving way on this one – notwithstanding the hugely compelling statistics of achievement by creative industries within the UK’s economy. Like any industry, we need a supply of first-rate talent. We must work with youth theatres, arts centres, community projects and Saturday clubs to seek this talent especially from the relatively deprived areas, and especially those from BAME families. The family is important – as many parents try to dissuade their offspring from following a career in the arts, as opposed to traditional professions. Central has a dynamic outreach programme. We take workshops to parts of the country of greatest diversity, most recently to Leicester in association with Curve. We increasingly audition outside London and address issues of hardship by offering audition-fee waivers. We are actively seeking ways to make the arrival at Central more warm and welcoming for those who could find the process very inhibiting. We will endeavour to have strong BAME presence at our Open Days, for instance. We are taking steps to ensure better representation on our board of governors, which is already 50/50 in terms of gender balance. I’m very happy to report that as far as the gender pay gap is concerned, Central bucks the trend by having the women ahead of the men. While I support the Royal Court’s code on sexual harassment I believe there are some aspects where a college such as ours requires different procedures. Central has a rigorous code of its own, developed with the Student Union – Central Says Enough – and launched with the Mayor of London as being exemplary of its kind. We have set in train a wide-ranging process of consultation with students, staff, the community and profession at large to set out a code of practice to support the BAME concerns at Central. We hope that these will be as exemplary as Central Says Enough.